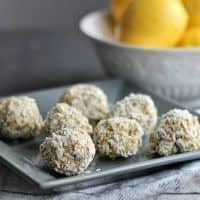 Lemon Coconut Chia Balls are nutritious morsels that taste both refreshing and sweet at the same time. With only five ingredients and no baking, they’re a cinch to make! 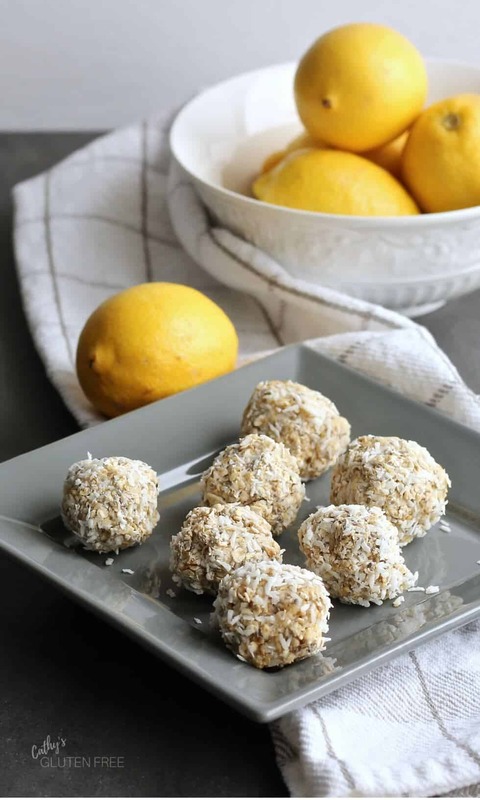 Lemon Coconut Chia Balls are great for breakfast! Winter is the season for citrus, and we can enjoy it in all sorts of different forms. My daughter and I came up with this recipe while we were staying at their house over the Christmas holiday. She had in mind some “power bites” that she had made before. I wanted to change a few things for my liking. In the end, we came up with something entirely different! I know they were a hit, because after sampling them, our then four-year-old grandson came back later and asked for them again! On subsequent visits, he has put in special requests for our lemon balls! My daughter later made the breakfast bites with lime juice instead of lemon, also with very good results. Lemons are good for you! Fresh lemon juice helps to get your digestion off to a good start in the morning. The anti-inflammatory effects of raw honey can soothe coughs and may reduce seasonal allergy symptoms. Chia seeds are densely packed with nutrients. They are an excellent source of omega-3 fatty acids something we almost always need more of. Read more about that here. Oats are a good source of healthy fibre. Use gluten free oatmeal if necessary. Read more about gluten in oats here. Coconut combines with the lemon to impart a lovely hit of the tropics! I tested this recipe with unsweetened coconut, so as not to add any extra sugars. 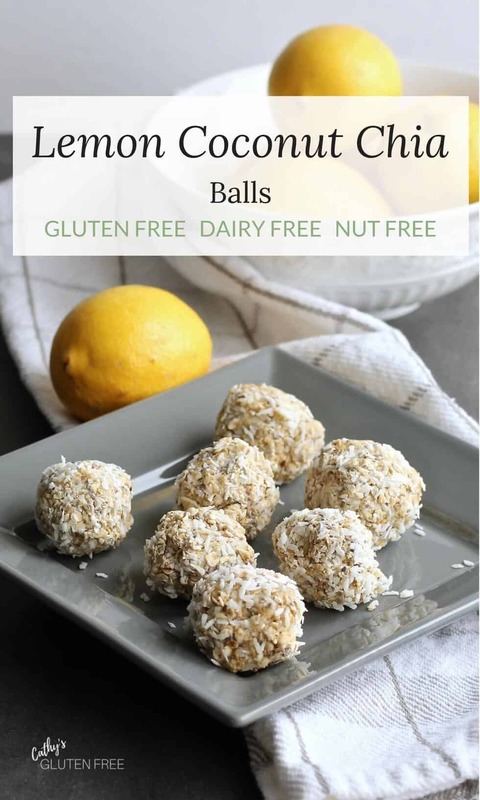 These chia balls are a snap to make in the food processor, but you could easily stir them together by hand. Using the food processor, I was able to just add the ingredients in the order given and pulse a couple of times until everything was combined. If you’re mixing by hand, I would recommend stirring each item in as you add it. Remember to save the second amount of coconut for rolling the balls. After letting your mixture sit for 10 minutes to thicken up, form it into balls with wet hands. I found that rewetting my hands after every couple of balls added just the right amount of moisture. 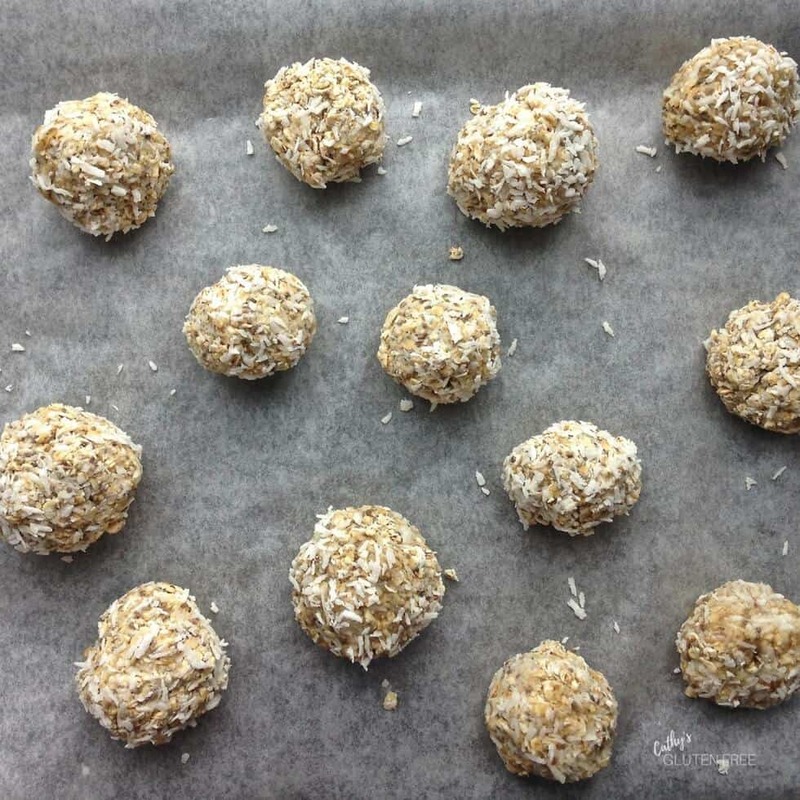 Then roll the balls in the extra coconut and refrigerate them. Lemon Coconut Chia Balls are ready for chilling. Because there’s no baking involved, it’s not important to make the balls all the same size. If you’d like to make some little, child-sized ones and some larger, adult-sized ones, go ahead! Add all ingredients except for second amount of coconut to food processor in order given. Pulse just enough to combine evenly OR mix ingredients in a mixing bowl in the order given, stirring after each addition. 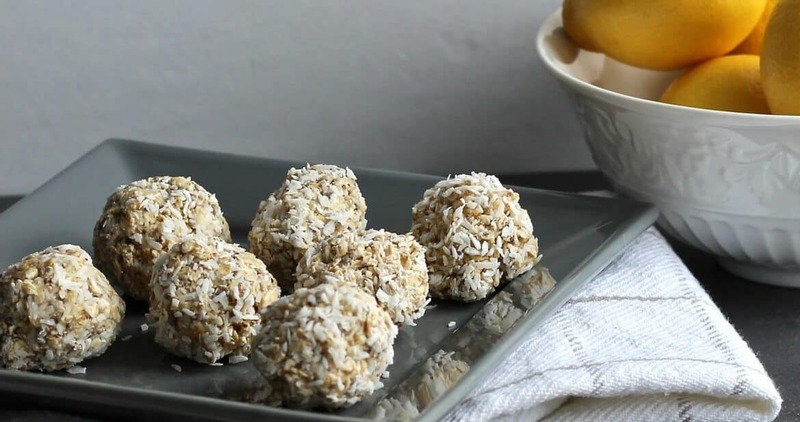 With wet hands, shape into balls of approximately 1 inch, roll each one in some more coconut to coat, and place on parchment paper or a platter. Refrigerate for 45 minutes or so to firm up before eating, if you can wait that long! Really tasty little morsels! I had fun making them with my three-year-old daughter. The lemon flavor is really bright and complements the oats beautifully. I used GF rolled oats instead of quick oats and they worked just fine. 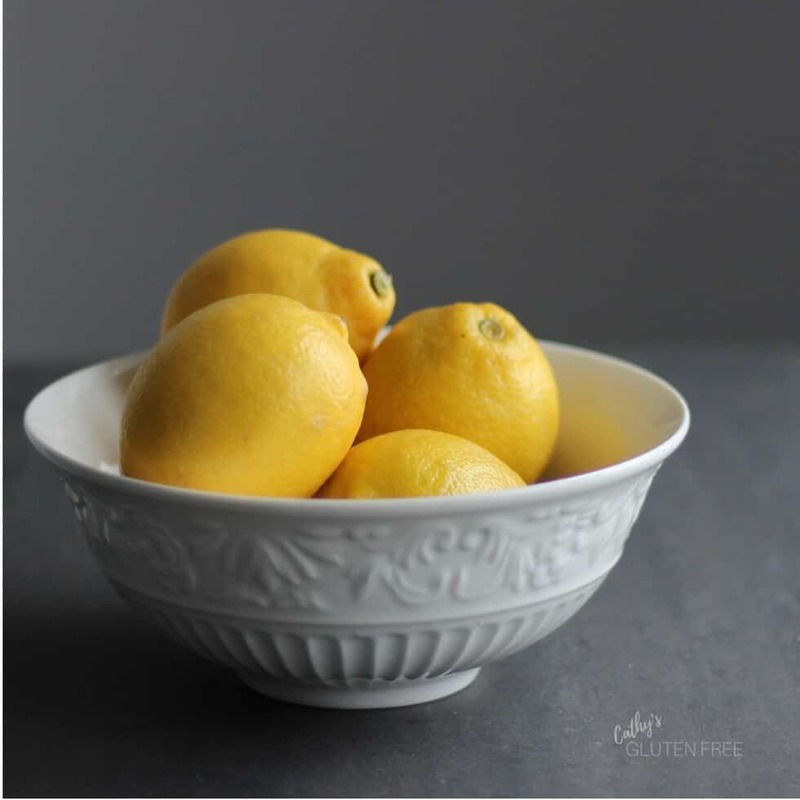 This will definitely be a go-to snack in our house whenever I have an abundance of lemons. Thanks! I’m glad you enjoyed them! They seem to be popular with the kids!